When Richard Anderson arrived on the Australian literary landscape with his first book, The Good Teacher, two years ago, his biography told us he’d been a cattle farmer for 25 years before turning into an author. A tongue-in-cheek rural romance of a small community gripped by a scandal when two teachers at the local school have a raging affair, Richard wrote The Good Teacher after taking a job driving a truck in a coal mine for spare cash. ‘So, I wrote a book in my head while I was driving and scribbled it down while I waited to be loaded,’ Anderson said at the time. 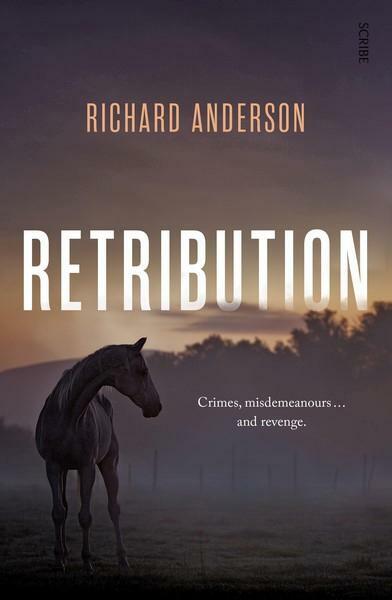 For his second book, Retribution, Richard’s gone in another direction, coming up with a captivating, incredibly well-written rural crime novel, a plot that keeps moving, plenty of drama and a great cast of characters. Once again, Anderson shows himself to be adept at capturing small-town rural life – the way people talk (or don’t), and think, the slower pace, the incredible beauty and heart-break of life on the land, the deep bond that can develop between a person and an animal and the intricacies of the human heart. Retribution’s central character, Graeme Sweetapple, is a man down on his luck. Unable to pay the mortgage on his family farm, he has resorted to stealing cattle to make ends meet. to see if he can help, an act of kindness that ultimately backfires. Inside the ute are Anna and Luke, anti-coal mine protestors who have stolen a small explosives pack from the mine. But they’re not the only ones caught red-handed, and when they spy Sweetapple’s stolen cattle, they blackmail him into hiding the explosives for them. This is only the beginning of Sweetapple’s troubles. He’s also caring for the horses owned by wealthy neighbours, Bob and Caroline Statham and they are anything but honest. It’s not long before Sweetapple gets his hands dirty, too, agreeing to steal a very expensive horse for Bob. The horse’s name is Retribution, and Sweetapple develops an intense attachment to her. When Bob does something unforgivable, Sweetapple wants to get even, but is revenge the answer or the problem? Retribution follows the lives of six interesting characters: Sweetapple, the struggling farmer; Luke and Anna, environmental protestors who aren’t all that they seem; Caroline Statham, a washed-up local politician looking for a sense of purpose, and her businessman husband, the deeply corrupt Bob; and Carson, wild and bound to no-one, determined to escape the town she loves and loathes. At its core, Retribution is about punishment and vengeance – the dark things that people do to get what they want. But it’s also a book about the frailty of humans – our emotional vulnerability, and our innate desire to be loved and accepted. 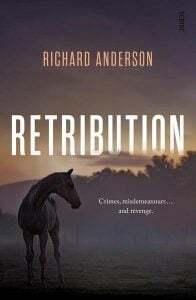 The horse Retribution stands as a symbol throughout the novel, leading Anderson to question the human capacity for vengeance, and the havoc that it wreaks. Retribution is a ripping thriller, deeply Australian, and an absolute must-read for all crime fans. 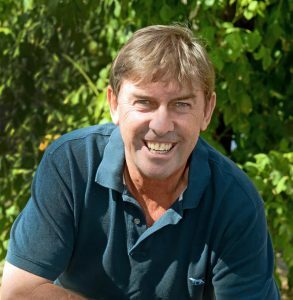 Richard Anderson is a second-generation farmer from northern New South Wales. He has been running a beef-cattle farm for twenty-five years, but has also worked as a miner and had a stint on the local council. Richard is the author of one previous novel, The Good Teacher. He lives with his wife, four dogs, and a new cat.